Jeremy Burnham participated in the writing of ‘Inspector Morse’, he had written one episode in the 1990’s – a British television series based in the 1990’s about a managing director and heir apparent to a venerable family-owned brewery in dire financial straits is found drowned in a vat of his own ale. 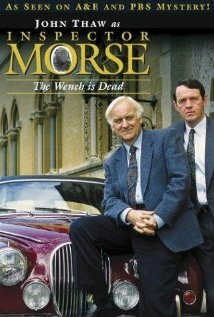 Inspector Morse is a TV programme which was created in the 1980’s and have released over 30 episodes of the series – Inspector Morse is about an individual who has a true passion for the music he listens to, he loves drinking beer and other alcoholic beverages and most importantly, has an interest in the crime which is going on around the local area. He works with his close friend Sergeant Lewis to solve each case, getting his nose into the dirty work.